Over the summer I worked on this fabulous collection of custom Forever Flower Garlands and it is such a pleasure to revisit these images. I had an absolute ball crocheting these twelve garlands for a lovely customer who was planning an event around the theme of 'Liberty print and Peridot'. I was completely thrilled to at last have an opportunity to work on a such a project since I had been contemplating this very idea for a wee while beforehand. 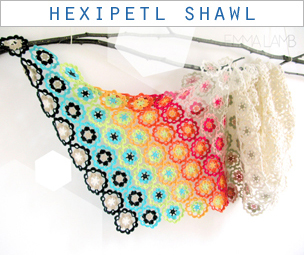 A co-ordinated collection of garlands as a piece of wall art or temporary installation. For a day or two between completing these lovelies and preparing them for their new home I had just that in my wee studio space. Often I only have one or two garlands hanging around so it was really interesting to see them en-mass and how they took on an entirely new dimension. 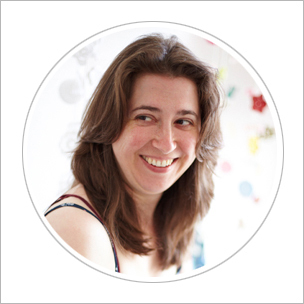 My most favourite way to style them was to hang them vertically (a snippet of matching washi tape will hold them in place perfectly) which allows for gentle movement when you walk by bringing them to life. Without my obsessive need to smooth and neaten all the flowers they hover away from the wall ever so slightly which creates some really pretty shadow play too. The more I see them together like this the more possibilities I can imagine for them beyond home decor (I'm thinking my studio might need a curtain of flowers for the doorway!?). I adore the idea of using them as a wedding backdrop for the ceremony or photographs and they would make perfect wedding favours once the day was over. Similarly they would be ideal for a wee girl's birthday party too. Of course they would be great for a photography studio, especially since they can be re-styled as many times as you'd like. Custom Forever Flower Garlands available on both Etsy and Folksy. I love!! Breathtaking!! What preciousness all together! Emma, you have a great talent! Congratulations for your blog! Wow, they look wonderful all strung together like that, Miss Emma! Such beautiful colors :) Can't wait to see the new work. Absolutely delightful..I love the fresh colour palette you've used too! 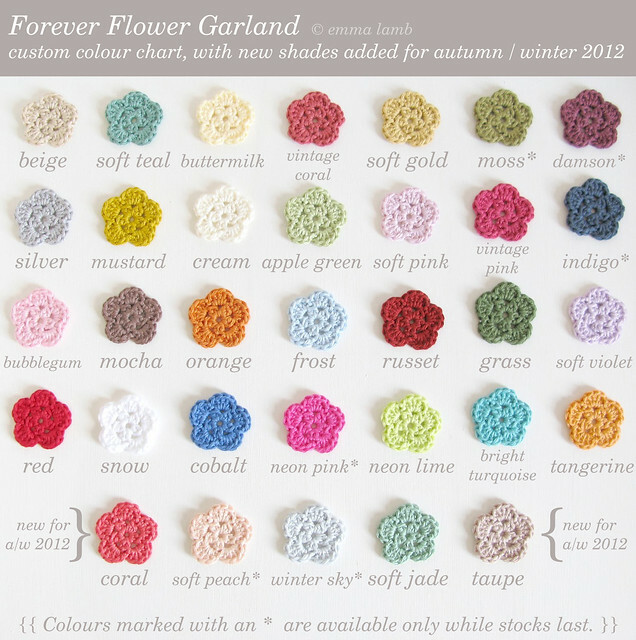 I love you colour flower chart and your new garlands ...beautiful! 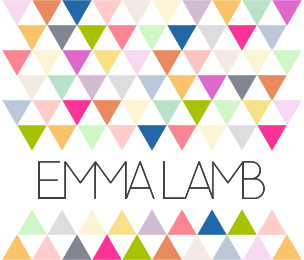 Oh my Emma just gorgeous, I've often thought of making a flowery curtain myself...........they look fantastic!